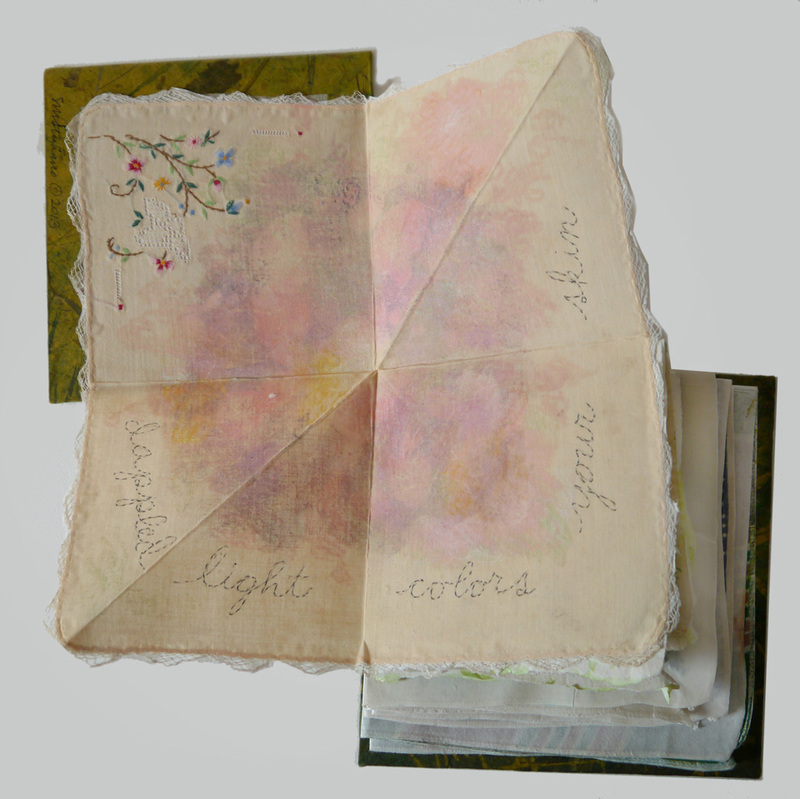 Vintage handkerchiefs and mixed media, 2013. 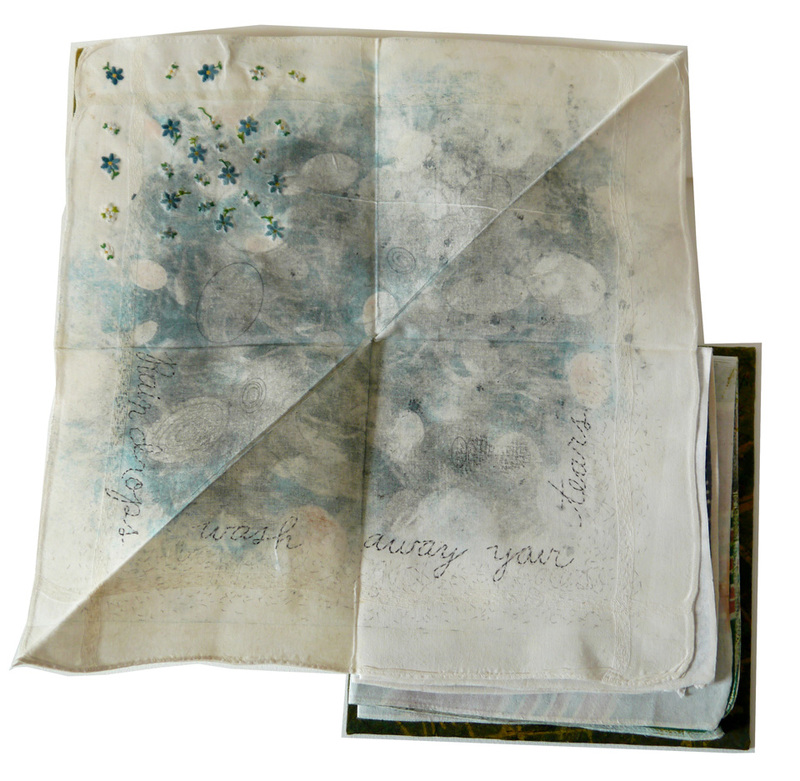 Stephanie Mahan Stigliano currently teaches Printmaking and Books as Art at Walnut Hill School for the Arts, Natick, MA. Stigliano contributed three books to the international traveling exhibition Al-Mutanabbi Street Starts Here, which will become part of the collection of the Baghdad National Library of Iraq. She is East Coast Coordinator for the traveling exhibition of prints, Absence and Presence, which had its inaugural exhibition at San Francisco Center for the Book in December, 2014.